Kevin Tolhurst is an Associate Professor in the Department of Forest and Ecosystem Science at The University of Melbourne. Kevin’s research focuses on bushfire modeling, fire behavior, and fire suppression strategies, and the development of fire decision support systems. 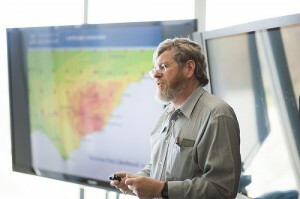 Kevin is a recognized authority on bushfires, and brings world-leading expertise in both bushfire science, and its application in practice and policy.